There is a myth that is very prevalent in Student Ministry. 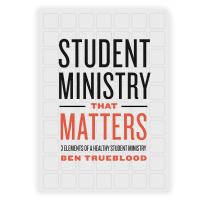 The myth is that most churches have a full-time student minister. While working at a Baptist State Convention earlier in my career,I was shocked to learn only a small percentage of churches have full-time student ministers. Even more, the majority of those doing the hard work of serving teenagers in the local church are bi-vocational and volunteers. What this means is that the majority of people leading student ministries in local churches do it with little-to-no pay. That deserves a standing ovation! 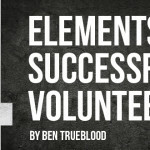 So what are some valuable things that volunteer student ministers need to know to help serve students and lead them toward a deeper relationship with Christ? Parents are your best friend in ministry. First of all, a student is going to mimic their parents level of commitment to Christ to a larger extent than that of their minister. 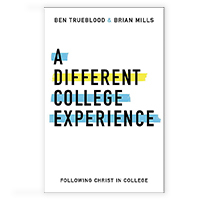 When parents are supported, welcomed, given the opportunity to help make decisions for the student ministry and valued, they are more inclined to not only let their children participate in the student ministry, but they themselves be more connected to the local church as well. Cool is overrated. Some people are hesitant to get involved in student ministry because they are afraid their cooler days are behind them. Regardless of the fact that this is probably true, it’s more important that you are genuine and available than cool. If a student knows you really care and are there for them, they won’t care about how cool you are or are not. Do retreats, camps, mission trips, and other student ministry related activities together with other churches. Pool your resources together and cooperate with other churches in your area for big events. It not only stretches your dollar, but it also gives students a kingdom perspective when churches work together. Order digital Bible study curriculum. This may require a bit of a learning curve, especially for volunteers who may be used to printed materials, but the savings can go a long way. Use the internet to its fullest potential. There are so many free resources you can find online that can enhance your student ministry. 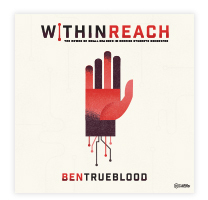 You can find anything from worship lyric videos on YouTube to free games. Get savvy and get searching for valuable student ministry tools online. LifeWay’s Student Pastor Network offers free downloadable resources you can access 24/7. It’s possible that as a student ministry leader and a volunteer you do not get told thank you enough. If this is how you feel, know that your efforts for the Kingdom are recognized, appreciated, and invaluable to the lives of millions of teenagers all over the world!